In order to help car buyers understand monthly fluctuations in car price list in the Philippines, Philkotse.com provides updated Mazda Philippines price list as of April 2019 as follows. With thousands of Mazda for sale at the cheapest prices updated daily by certified owners and dealers on Philkotse.com, your next ride may be just a few clicks away. Mazda Philippines price list this April 2019 (with new excise tax) for all Mazda models, including the Mazda 2, Mazda 3, Mazda 6, and Mazda CX-5. 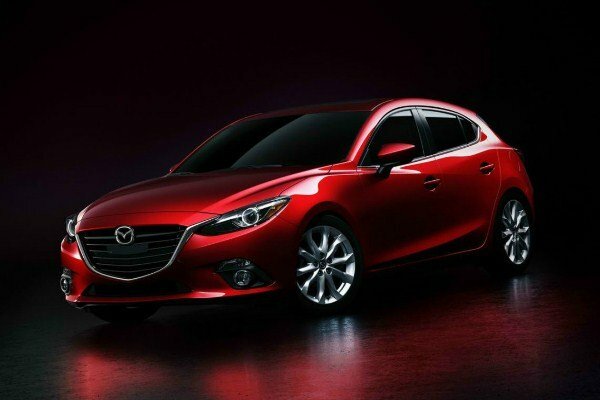 Latest special promotions and discounts from all Mazda dealerships nationwide are also gathered here. 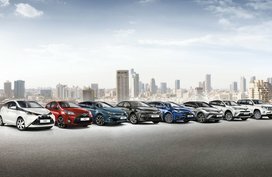 Note that the following Mazda price list and promos are updated regularly on Philkotse.com, so please bookmark this page to catch up with the latest automotive deals. Please note that these are prices listed in some showrooms and should serve as reference only. For more accurate pricing information, please refer to the Cars For Sale section. 1. Mazda 2 2019 price – Philippines – April: New hatches cost from ₱965,000. The Mazda 2 is offered in two body configurations: sedan and hatchback. Both are great but in our country, the latter is more celebrated. Featuring Mazda’s signature KODO design language, the Mazda 2 hatchback is allegedly one of the best-looking hatches in automotive world. Regarding the cabin, this small can accommodate 5 passengers and keep them entertained with a 7” touchscreen LCD monitor. In addition, active driving display, paddle shifters and automatic climate control are fully set up inside the car. 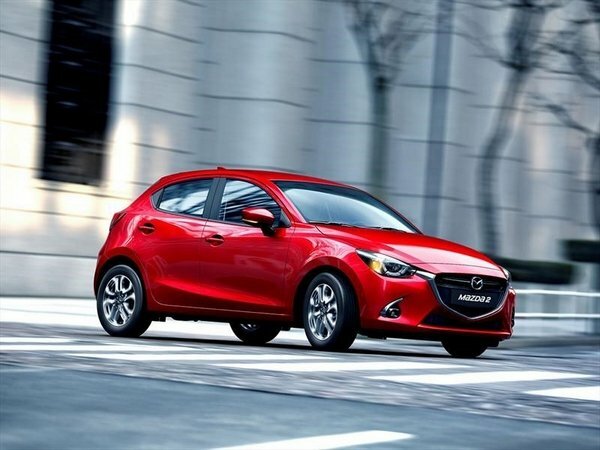 The Mazda 2 hatchback is powered by a 1.5L SKYACTIV-G engine producing 108 hp and 139 Nm, paired with a SkyActiv-Drive 6-speed AT with Sport mode. Like most Mazdas, the hatch is also armed with the G-Vectoring Control for better riding comfort. Safety-wise, standard features like ABS, airbags, rear parking sensors, stability control, keyless entry and immobilizer are all present on this model. In terms of price, a brand-new Mazda 2 hatchback will set you back from ₱965,000. To widen for choice, here we have a full list of new and used Mazda 2 for sale available for sale on our site. 2. Mazda 3 2019 price – Philippines – April: Price goes from ₱1,110,000 to ₱1,512,400. Like the 2’s story, Filipinos love the Mazda 3 hatchback because of its KODO design theme, fuel efficiency and especially an upmarket cabin. The Mazda 3 cabin attracts us to its state-of-the-art 7-inch infotainment touchscreen integrated with a Commander Control, a leather wrapped steering wheel, shift knob and hand brake. Plus, an analog tachometer and a heads up display also exude a more modern look inside. This is a safe hatchback with key features like airbags, ABS with EBD, parking sensors, Dynamic Stability Control, immobilizer, and Child Lock Protection that are available on all variants. The 3 hatchback is propelled by a 1.5L and a bigger 2.0L. The only transmission choice is a 6-speed SKYACTIVE automatic. Of course, the G-Vectoring Control is indispensable to this Mazda. The Mazda 3 hatchback price in the Philippines for a brand new unit goes from ₱1,110,000 to ₱1,512,400, depending on which variant you go for. More options with better price and exciting promos can also be found in our Mada 3 hatchback for sale section. Check out now! 3. 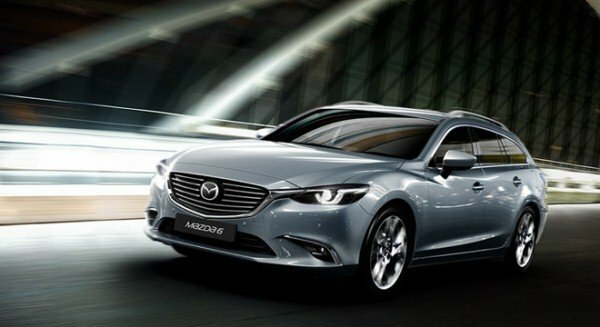 Mazda 6 2019 price – Philippines – April: A wagon sets you back less than ₱1,900,000. First launched in the Philippines in 2015, the Mazda 6 wagon is pitched as one of the best choices in the country. Carrying the Mazda’s award-winning KODO design language, its stylish, sporty and elegant look has conquered Filipino’s hearts. On the exterior, this beautiful wagon features a new front grille flanked by adaptive headlamps and LED fog lamps. A set of 19-inch alloys also boosts its glossy appearance. Beyond the doors is a nice cabin which is loaded with a 7” touchscreen MZD Connect, 11 BOSE speakers and high quality materials. Under the bonnet, the wagon is armed with a high-efficiency 2.5L SKYACTIV-G direct injection engine, working in tandem with a SKYACTIV-DRIVE 6-speed AT with Sport mode. The G-Vectoring Control is there to further enhance the car’s handling and cornering stability. Pricing for a Mazda 6 wagon 2019 ranges from ₱1,845,000 to ₱1,861,800. This tag is reasonable for such a great station wagon, isn't it? So wait for what? Rush to the nearest Mazda Philippines dealerships right now to bring one home. 4. 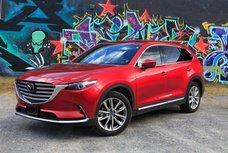 Mazda CX-5 2019 price – Philippines – April: There is a significant variance in pricing for the base and the top trims. 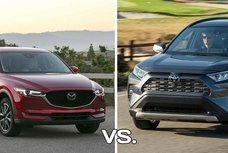 Now, move our discussion to Mazda’s SUVs. 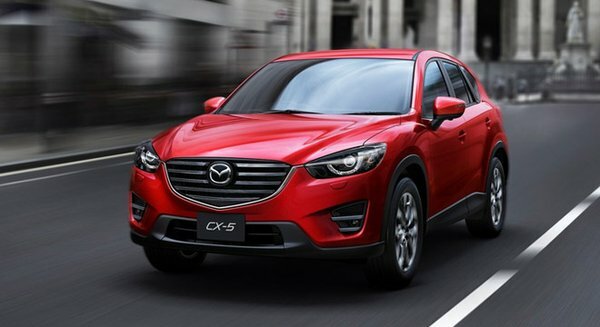 The CX-5 is the Japanese brand’s pride. Sporting a dynamic and modern coat, we have nothing to complain about the CX-5 exterior indeed. From bumper to bumper, it’s actually a hand-some guy. Opening the door and you will be welcomed by a classy, spacious and comfort cabin that is fully furnished with high-tech amenities. Leather seats, MZD Connect, electronic dual-zone A/C are what impress us most about the inside. The Mazda CX-5 2019 employs a 2.0 and 2.5L SKYACTIV-G gasoline mills. Besides, a 2.2L SKYACTIV-D diesel unit is also given for the Philippine market. Lastly, the G-Vectoring Control, Adaptive LED headlights, i-STOP Idle Stop System, Lane Keep Assist, Land Departure Warning are likewise worth noting. 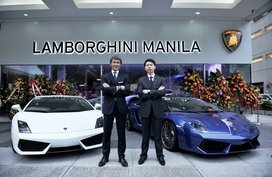 With regards to price, the base variant is pegged at ₱1,680,000 while the top-spec costs you ₱2,230,000. 5. Mazda CX-3 2019 price – Philippines – April: ₱1,480,000 is tag of the top-end grade. The Mazda CX-3 is the company's entry to the local subcompact crossover segment. With a city-friendly size, great features, impressive fuel efficiency and performance, the CX-3 is no doubt a wise choice for Pinoy motorists who’re in the market for a budget-friendly SUV. 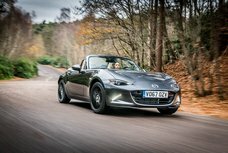 The last hot-selling Mazda in this list, surely, is applied KODO – Soul of Motion. The CX-3 has got a long hood, sharp front grille as well as sculpted fenders. Moving insides, the higher-end trim lets people sit in leather and lux suede seats. 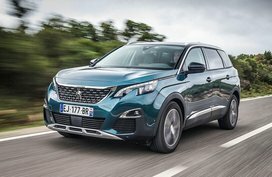 High-tech devices include the brand’s Connect infotainment system that allows passengers to enjoy social media connectivity, radio, Bluetooth streaming and SMS text response to boot. As for the hardware, the Mazda CX-3 packs a 2.0L SKYACTIV-G power plant with i-STOP. 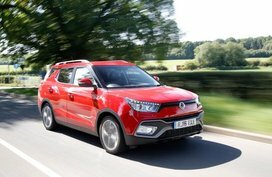 An i-ACTIV all-wheel drive system is in charge of predicting wheel slips and providing better traction. 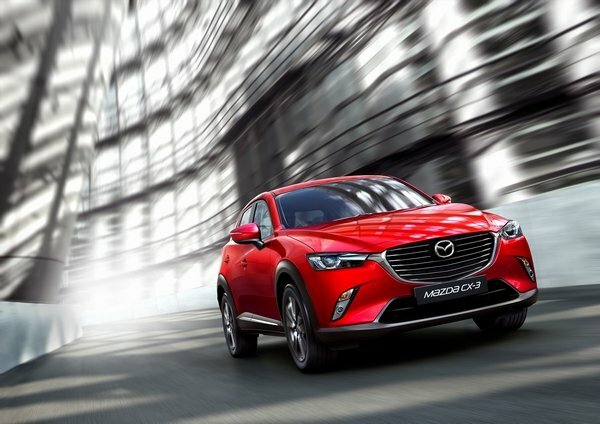 To opt for a top-of-the-line CX-3, you need to spend ₱1,480,000. To save some money, you can consider our list of new and used Mazda CX-3 for sale on Philkotse. Mazda has been famous for the iconic SkyActiv technology which is environmentally-friendly and fuel-efficient without sacrificing the driving pleasure and great performance. As a result, Mazdas available with this latest tech such as the Mazda2, 3, 6, and the CX-5 are top picks in the Philippines today. Full reviews of these models and other Mazda cars in the Philippines can all be found in our Mazda review section.